Genesis Nanotech Headlines Are Out! Genesis Nanotech Headlines Are Out! Read All About It! “Great Things from Small Things!” … We Couldn’t Agree More! New report could inspire Hydrogen integration into more California gas stations. ​ WASHINGTON – According to a report on the Greener Ideal website, a recent research study conducted by Sandia National Laboratories (SNL) may help speed up process of installing hydrogen fuel cell stations throughout the state of California. 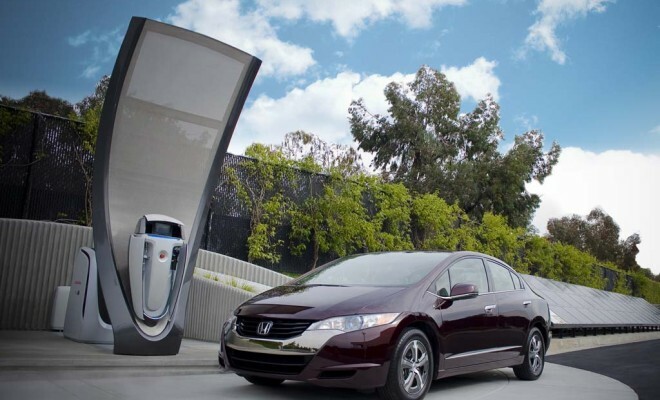 The SNL study, which examined 70 gas stations in California, found that 14 of them could integrate hydrogen fuel right away, while another 17 only need some property expansions before they could be ready to cater to fuel cell vehicles. Integrating hydrogen storage into gas stations is a far cheaper option than building new hydrogen fueling stations from the ground up, considering that the construction of an entirely new station can cost up to $1.5 million. In their article, Greener Ideal explains that the SNL report found that the stations ready to immediately integrate hydrogen fueling meet the requirements of the National Fire Protection Association (NFPA) hydrogen technologies code from 2011, which includes guidelines for the storage, use, piping and generation of hydrogen and is an essential tool for making sure that hydrogen fueling stations are operated in a safe manner, due to their serious flammability issues. The lack of fueling stations – along with high production costs, is clearly one of the biggest hurdles for hydrogen cars, so until these issues are resolved, vehicles powered by hydrogen won’t become commonplace. As far as costs are concerned, car makers are trying to develop more affordable fuel cells, which would definitely bring the price of hydrogen cars down, but when it comes to fueling stations, a much broader effort from both the auto industry and government is needed to put the proper infrastructure in place. Of all states, California has done the most in terms of promotion of hydrogen powered cars and encouraging a wider adoption of these alternative fuel vehicles. California has been investing heavily in the construction and installation of fueling stations across the state, and offering various incentives to those who decide to purchase one of these vehicles. Currently, there are over 20 stations in California, and the state has announced plans to install a total of 100 stations within the next 10 years. However, the pace of installing fueling stations could be much faster and a recent research study conducted by Sandia National Laboratories may help speed things up. Sandia National Laboratories completed a study that found many existing gas stations in California could accept hydrogen and cater to fuel cell vehicles. Integrating hydrogen storage into gas stations is a far cheaper option than building new hydrogen fueling stations from the ground up, considering that the construction of an entirely new station can cost up to $1.5 million. Researchers at Sandia examined 70 gas stations in California, and found that 14 of them could integrate hydrogen fuel right away, while another 17 only need some property expansions before they could be ready for it. According to the report released by Sandia National Laboratories, the 14 stations that could readily accept hydrogen meet the requirements of the National Fire Protection Association (NFPA) hydrogen technologies code from 2011 – which includes guidelines for the storage, generation, use, piping, and generation of hydrogen. The NFPA hydrogen technologies code is an important tool for making sure that hydrogen fueling stations are operated in a safe manner, since there are serious flammability hazards involved in handling hydrogen. Researchers were particularly focused on the distance between the different elements of the fueling infrastructure and public streets as one of the key factors to ensuring the safe operation of fueling facilities. “Whether you are filling your car with gasoline, compressed natural gas or hydrogen fuel, the fueling facility first of all must be designed and operated with safety in mind,” said Daniel Dedrick, hydrogen program manager at Sandia. At the moment, there are about 120,000 gas stations in the U.S., and the study Sandia National Laboratories conducted shows that many of them could cater to hydrogen fuel cell vehicles, which would definitely help expand the hydrogen fueling station network, without having to invest hundreds of millions of dollars in an entirely new infrastructure. Industry has largely shunned TiO2 nanoparticles because they’ve been difficult and expensive to make, and current methods produce particles that are too large. Sandia became interested in TiO2 for optical encapsulants because of its work on LED materials for solid-state lighting. Current production methods for TiO2 often require high-temperature processing or costly surfactants — molecules that bind to something to make it soluble in another material, like dish soap does with fat. Those methods produce less-than-ideal nanoparticles that are very expensive, can vary widely in size and show significant particle clumping, called agglomeration. “We wanted something that was low cost and scalable, and that made particles that were very small,” said researcher Todd Monson, who along with principal investigator Dale Huber patented the process in mid-2011 as “High-yield synthesis of brookite TiO2 nanoparticles”. Their method produces nanoparticles roughly 5 nanometers in diameter, approximately 100 times smaller than the wavelength of visible light, so there’s little light scattering, Monson said. 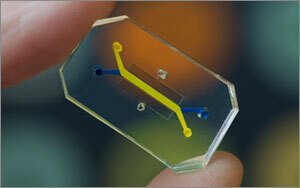 “That’s the advantage of nanoparticles — not just nanoparticles, but small nanoparticles,” he said. Scattering decreases the amount of light transmission. Less scattering also can help extract more light, in the case of an LED, or capture more light, in the case of a solar cell. TiO2 can increase the refractive index of materials, such as silicone in lenses or optical encapsulants. Refractive index is the ability of material to bend light. Eyeglass lenses, for example, have a high refractive index. Practical nanoparticles must be able to handle different surfactants so they’re soluble in a wide range of solvents. Different applications require different solvents for processing. Technique can be used with different solvents. 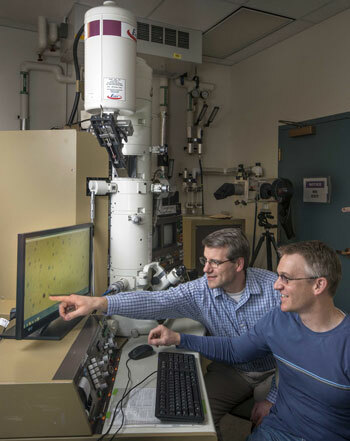 The researchers came up with their synthesis technique by pooling their backgrounds — Huber’s expertise in nanoparticle synthesis and polymer chemistry and Monson’s knowledge of materials physics. The work was done under a Laboratory Directed Research and Development project Huber began in 2005. “The original project goals were to investigate the basic science of nanoparticle dispersions, but when this synthesis was developed near the end of the project, the commercial applications were obvious,” Huber said. The researchers subsequently refined the process to make particles easier to manufacture. Existing synthesis methods for TiO2 particles were too costly and difficult to scale up production. 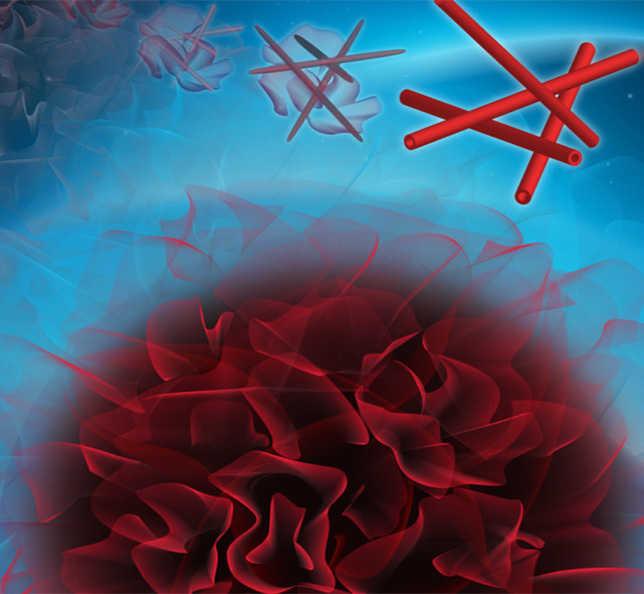 In addition, chemical suppliers ship titanium-dioxide nanoparticles dried and without surfactants, so particles clump together and are impossible to break up. “Then you no longer have the properties you want,” Monson said. The researchers tried various types of alcohol as an inexpensive solvent to see if they could get a common titanium source, titanium isopropoxide, to react with water and alcohol. The biggest challenge, Monson said, was figuring out how to control the reaction, since adding water to titanium isopropoxide most often results in a fast reaction that produces large chunks of TiO2, rather than nanoparticles. “So the trick was to control the reaction by controlling the addition of water to that reaction,” he said. Some textbooks dismissed the titanium isopropoxide-water-alcohol method as a way of making TiO2 nanoparticles. Huber and Monson, however, persisted until they discovered how to add water very slowly by putting it into a dilute solution of alcohol. “As we tweaked the synthesis conditions, we were able to synthesize nanoparticles,” Monson said. The next step is to demonstrate synthesis at an industrial scale, which will require a commercial partner. Monson, who presented the work at Sandia’s fall Science and Technology Showcase, said Sandia has received inquiries from companies interested in commercializing the technology. Sandia would synthesize a small number of particles, then work with a partner company to form composites and evaluate them to see if they can be used as better encapsulants for LEDs, flexible high-index refraction composites for lenses or solar concentrators. “I think it can meet quite a few needs,” Monson said.